Mike Trout contract details have been a hot topic for a while. Many rumors about the Philadelphia Phillies had floated around the league, as the team really wanted to land him in free agency. It appears that the Los Angeles Angels have avoided that scenario by offering Trout a long-term contract extension. Jeff Passan of ESPN broke the news on Tuesday morning (March 19) that Trout and the Angels were finalizing the details of that contract extension. He reported that it is a 12-year deal worth more than $430 million. It works out to an annual salary of nearly $36 million a year. There were still two seasons left on a major contract extension that Trout and the Angels had in place. That deal was for $144.5 million over six seasons, with two more years left on it. Those final two seasons will get replaced by a contract that will now run through the 2030 MLB season. These Mike Trout contract details suggest that he will remain with the Los Angeles Angels for the rest of his career. The best player in baseball is going to continue roaming the outfield in Anaheim, with a secure financial future now in place. It will allow the Angels to continue utilizing Trout as a cornerstone to build around for many years. During the 2018 MLB season, Trout finished with a 10.2 WAR over just 140 games. That included a .312 batting average, a league-leading 122 walks (25 intentional), and a league-leading .460 on-base percentage. He also had 39 home runs and won the fifth Silver Slugger Award of his young career. 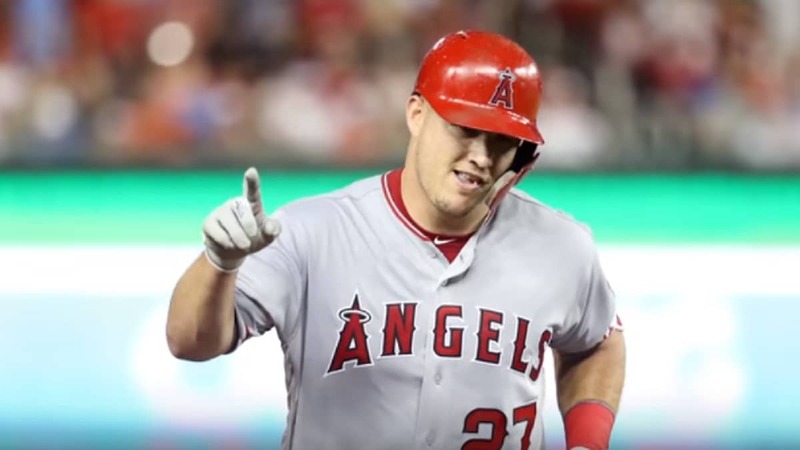 Heading into the 2019 MLB season, Trout is considered one of the favorites to win the American League MVP Award.